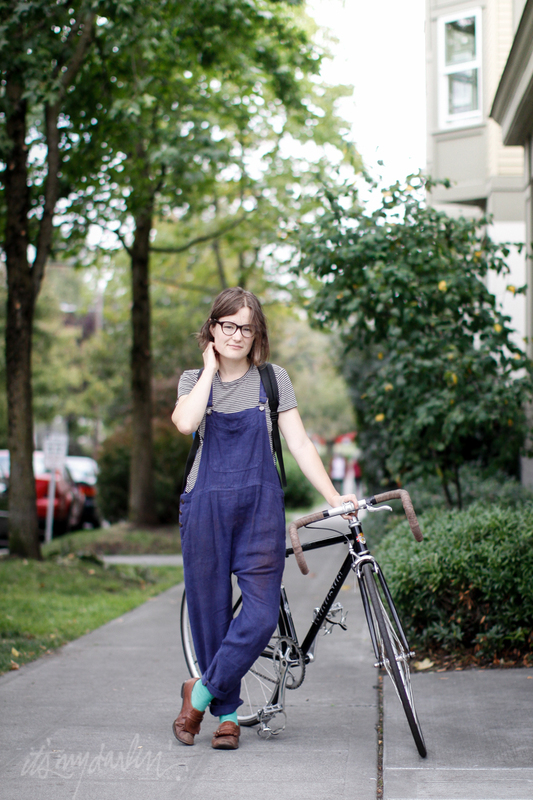 Ellen made these overalls out of an overall dress. They look endlessly comfy. Marybeth Satterlee | Outside Baby and Co.